Born near Boston, Dr. Chambers grew up in southeastern Washington. After graduating from college with interests in history, law, and dentistry, Dr. Chambers decided to pursue dentistry and entered the Loma Linda University School of Dentistry. 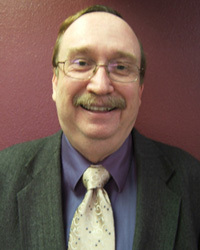 He graduated in 1978 and has been in private practice in Oregon since 1979. Dr. Chambers enjoys learning everything he can about the ever-changing field of dentistry. In addition to his extensive studying of general and cosmetic dentistry, he has over 250 hours of orthodontics curriculum. Dr. Chambers is also an Invisalign Certified Orthodontist. He is a member of the American Dental Association and the International Association of Orthodontics. As much as Dr. Chambers enjoys dentistry, he believes there's more to life than work. For more than ten years, he has served on the Board of Canvasback Missions, an organization that provides free medical and dental services to island people in the South Pacific. He volunteers his time as a math tutor and public speaker at schools and non-profit organizations. Dr. Chambers also loves to spend time with his family and travel around the world. He has been to Turkey, Morocco, Southern France, Italy, the Middle East, and many other destinations.